I started this model as a Silo 2 modeling test. Unfortunately, Silo 2 turned out to be a weak software with too few tools and too many limitations. So I exported a high resolution mesh to Zbrush 2 where I rebuilt lower levels and then started to refine the model. 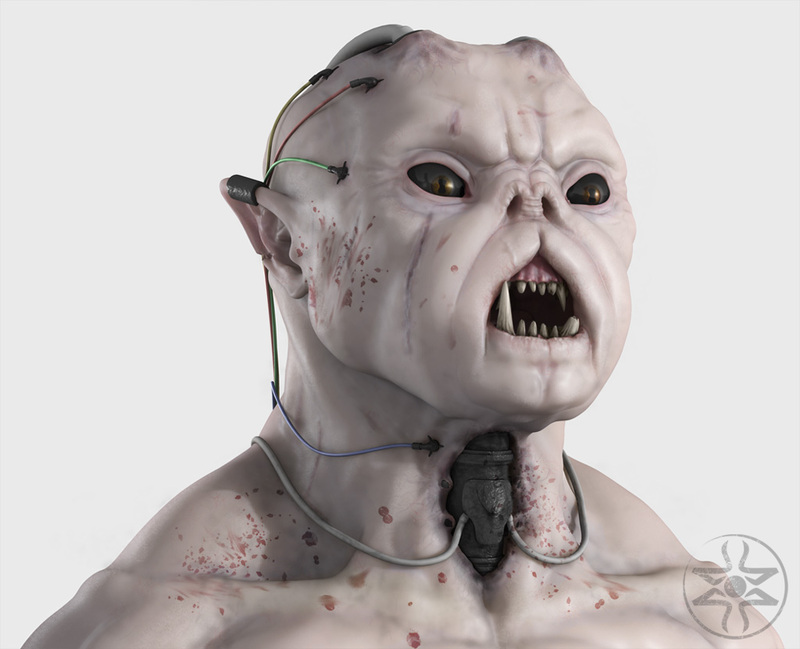 The finished model was exported in high density resolution mesh in Maya 7 and rendered with Mental Ray. The skin details were added in post in Photoshop CS. The final version of this still was used as cover for #001 of THR3aD. And yes, the name is horrible, but I didn't found anything better for this... this... ok, I don't know "what" is this! Fireplace area. Most of the details come from displacement and bump maps as the bricks. 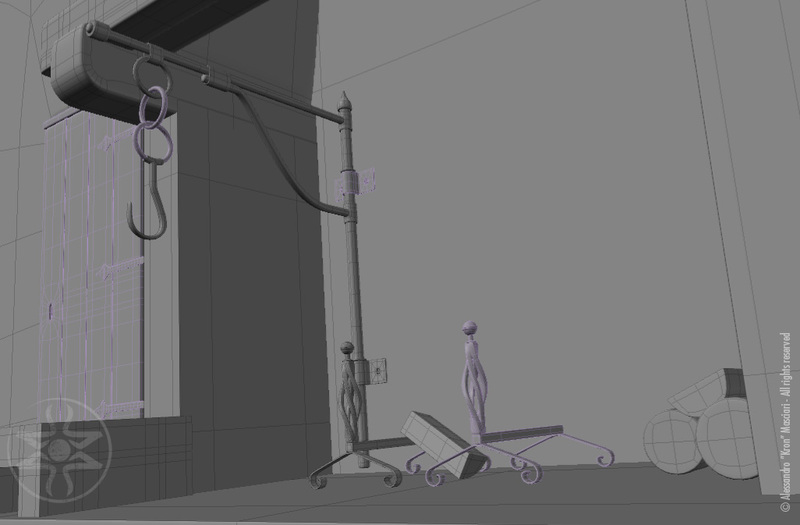 The image "Farnetella" was built as a test scene for compositing worflow, so every object had to be as detailed as needed to create good render passes. In the end, my 32 bit compositing workflow in Photoshop CS3 didn't matched a satisfactory result, so I prefered to launch a final render output with a couple of separated passes as "volumetric lights". Also in this case, the detailed models helped me a lot to gain a good result. 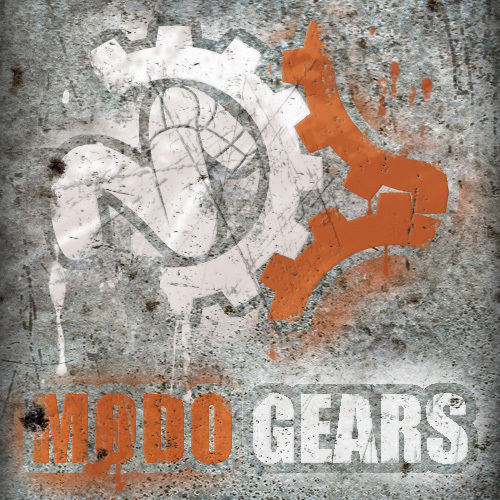 New section dedicated to Modo Gears contents. Modo users now can find tutorial, scripts and assets in a single page, just clicking on the menu line "Modo Gears", on the right column. 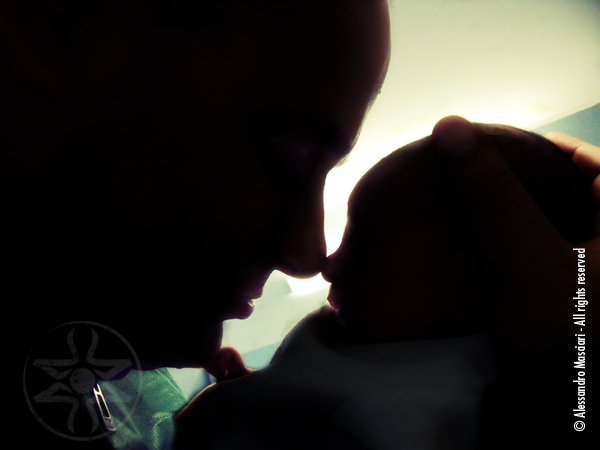 So yes, I'm a big boy now, a father, and everything has changed. And this blogsite too!